Corals are dying out around the world and are being replaced by fleshy macroalgae or algal turfs that may carpet the entire reef surface (Hughes, 1994; Pandolfi et al., 2005; Newman et al., 2006). In the Caribbean, live coral cover has fallen from an average of «55% in 1977 to 5% in 2001 (Table 1.1), whereas macroalgal cover has risen from an average of «5% to 40% (Gardner et al., 2003; Paredes, 2007). The demise of formerly ubiquitous and abundant elkhorn and staghorn corals (Acropora palmata and Acropora cervicornis) is particularly striking; these corals were the major rock formers on shallow Caribbean reefs for at least a million years (Jackson, 1992; Aronson et al., 2004; Pandolfi and Jackson, 2006) but are now officially listed as endangered species. The story is a little better in the Indo-West Pacific where live coral cover still averages «22%, which is about one-half of that in 1980 (Bruno and Selig, 2007). However, even the Great Barrier Reef, which is arguably the best-protected coral reef system in the world, has only 23% live coral cover. The only places I know of where live coral cover still averages «50% or more over large areas of reef are the uninhabited and protected atolls of the Central Pacific (Knowlton and Jackson, 2008). Most Caribbean coral communities in 1977 still resembled the first detailed descriptions from the 1950s (Goreau, 1959), as well as reconstructions of Holocene and Pleistocene assemblages in the fossil record (Jackson, 1992; Pandolfi and Jackson, 2001, 2006; Aronson et al., 2004), although reefs at Barbados had already lost their formerly dense populations of Acropora by the early 20th century (Lewis, 1984, 2002). In contrast, reef fishes throughout the entire region were only a small remnant of how they used to be (Jackson, 1997; Pandolfi et al., 2003; McClenachan et al., 2007), and populations declined by more than one-half again between 1977 and 2003 (Paredes, 2007). We can piece together a clear qualitative picture of what pristine Caribbean reef fish communities were like from archeo-logical and historical analysis (Jackson, 1997; Jackson et al., 2001; Pandolfi et al., 2003). The extraordinary old photographs of fishing boats returning to Key West draped in giant sawfishes and sharks (Fig. 1.3) make these descriptions come alive, as do the trophy photographs of an afternoon's catch by a single charter boat of up to 16 gigantic goliath grouper, a now endangered species for which catch per unit effort (CPUE) declined 87% between 1956 and 1979 (L. McClenachan, personal communication). 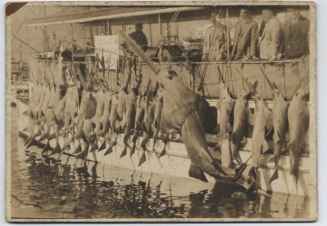 FIGURE 1.3 A sporting day's catch of sawfish in the Florida Keys in the 1940s (courtesy of the Monroe County Public Library, Key West, Florida). NOTES: See Knowlton and Jackson (2008). C, Caribbean; CP, central Pacific; IO, Indian Ocean; NCP, north central Pacific; WP, western Pacific. "Sample dates: 1997/2005. We can put numbers on these impressions by comparison of modern Caribbean fish communities on unprotected reefs versus sites inside the few long-established marine protected areas (MPAs) where fishing is prohibited and the rules are strictly enforced (Table 1.2) (Newman et al., 2006; Paredes, 2007). Unprotected reefs in the Pacific and Indian oceans are comparably overfished, although few if any as badly as Jamaica (Table 1.2) (McClanahan et al, 2001, 2007; Dulvy et al, 2002; Friedlander and DeMartini, 2002; Jackson, 2006). As for corals, the greatest fish biomass and largest fish occur on the uninhabited and protected atolls of the central and north central Pacific that may never have been severely degraded (Table 1.2) (Knowlton and Jackson, 2008). The highest fish biomass on these isolated atolls is 1,000 g/m2, which is only double that on the best-protected Caribbean reefs. Piscivores comprise «50-85% of total fish biomass (McClanahan et al., 2007; Knowlton and Jackson, 2008), most of it large sharks. In general, apex predators are virtually absent from reefs where fish biomass is <100 g/m2 but may exceed the combined biomass of all lower trophic levels of fishes when fish biomass exceeds «300 g/m2. Thus, when fish biomass is high, the fish trophic pyramid is upside down (Jackson, 2006; Sandin et al., 2008). Reefs in Florida surveyed in 2005 (Newman et al., 2006) were also surveyed in 1880 (McClenachan et al., 2007). Only 30% of the 20 species that were common in 1880 were still common in 2005, and 40% of the formerly common species were absent in 2005. Most remarkably, 4 of the 20 formerly common species in 1880 are now listed as endangered or critically endangered, including the Nassau grouper (Epinephalus striatus), which was the mainstay of fish sandwiches in the Florida Keys for too many decades to the point that this once fantastically abundant species is entirely fished out. Fishes and corals are not the only animals to have declined precipitously. Harvests of Florida commercial sponges peaked in 1924 at >3 million tons, and then crashed to nearly zero in the 1940s when stricken by disease (McClenachan, 2008). Today, the sponges have recovered to «11% of their abundance in the 1880s. The formerly abundant sea urchin Diadema antillarum also declined by 90-95% because of an outbreak of an unidentified disease in 1983 (Lessios et al., 1984), and much of the mortality of elkhorn and staghorn corals in the 1970s and 1980s was also due to outbreaks of disease (Aronson and Precht, 2001; Knowlton, 2001). Green turtles have declined by well over 99% from approximately 90 million in the 18th century to perhaps 300,000 today, and hawksbill turtles declined as precipitously from approximately 11 million to 30,000 (McClenachan et al., 2006). The total population of the extinct Caribbean monk seal in the 18th century was «230,000-340,000, abundance so great that all of the remaining fish on Caribbean coral reefs would be inadequate to sustain them (McClenachan and Cooper, 2008). 22 / Jeremy B.C. Jackson of dissolved organic matter into the surrounding water that destabilizes microbial communities on corals and promotes coral disease (Nugues et al., 2004; Kline et al., 2006; JE Smith et al., 2006; Hoegh-Guldberg et al., 2007), or by smothering the crustose coralline algae that are necessary cues for coral larvae to recruit (Carpenter and Edmunds, 2006). Increased abundance of fish or sea urchins is associated with a decline in macroalgae (Newman et al., 2006; Mumby et al., 2007) and increased coral recruitment (Carpenter and Edmunds, 2006). Coral cover has not increased, however, presumably because of the slow growth and long generation times of corals compared with fish and macroalgae (Jackson, 1991; Pandolfi et al., 2005; Newman et al., 2006). Rising temperatures and falling pH are as ominous for the future of corals and coral reefs (Knowlton, 2001; Hughes et al., 2003; Kleypas et al., 2006; Hoegh-Guldberg et al., 2007) as for calcareous plankton (Riebesell, 2004). Warming has caused mass mortality of corals by coral bleaching that has increased in frequency and intensity over the past two to three decades. Reduction of pH reduces coral growth rates and skeletal density, and may eventually stop calcification entirely, so that corals lose their skeletons and resemble small colonial sea anemones (Fine and Tchernov, 2007). Regardless of whether or not the corals can survive under such circumstances, reef formation would be severely reduced or halted if acidification proceeded at current rates. Climate change exacerbates local stress due to overfishing and decline in water quality (Pandolfi et al., 2005; Newton et al., 2007; Knowlton and Jackson, 2008), but the reverse is also true to the extent that the unpopulated, unfished, and unpolluted atolls of the central Pacific still possess «50% coral cover while other reefs in the Pacific have less than half that amount (Bruno and Selig, 2007; McClanahan et al., 2007; Knowlton and Jackson, 2008). This is the only good news I know of for coral reefs, and there is a pressing need to study these reefs to determine why corals have so far persisted in such abundance and the degree to which coral community composition is shifting toward more physiologically resilient species or to those with shorter generation times and faster growth. Ultimately, however, it is difficult to imagine how corals will be able to survive or reefs persist if the rise in CO2 continues unabated. The overall status of the four major categories of ocean ecosystems and the principal drivers of their degradation are summarized in Table 1.3. Coastal ecosystems are endangered to critically endangered on a global scale. The lesser endangerment of pelagic ecosystems reflects their remoteness from all factors except fishing and climate change, although there are no real baselines for comparison to critically evaluate changes in plankton communities. This grim assessment begs the question, What are the projected long-term consequences for the ecological condition of the ocean if we continue with business as usual? 24 / Jeremy B.C. Jackson processes involved to make meaningful qualitative predictions about what will happen in the oceans if humans fail to restrain their style of exploitation and consumption. Failure to stop overfishing will push increasing numbers of species to the brink of extinction—perhaps irreversibly as for Newfoundland cod—except for small, opportunistic species. Unrestrained runoff of nutrients and toxins, coupled with rising temperatures, will increase the size and abundance of dead zones and toxic blooms that may merge all along the continents. 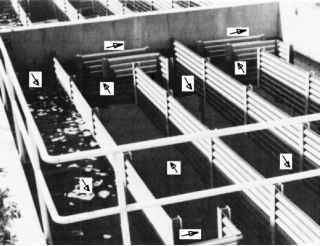 Even farmed seafood will be increasingly toxic and unfit for human consumption unless grown in isolation from the ocean. Outbreaks of disease will increase. Failure to cap and reduce emissions of CO2 and other greenhouse gases will increase ocean temperatures and intensify acidification. Warmer and lighter surface waters will inhibit vertical mixing of the ocean, eventually leading to hypoxia or anoxia below the thermocline as in the Black Sea. Biogeochemical cycles will be perturbed in uncertain ways as they have been in the past (Knoll, 2003). Mass extinction of multicellular life will result in profound loss of animal and plant biodiversity, and microbes will reign supreme. These predictions will undoubtedly appear extreme, but it is difficult to imagine how such changes will not come to pass without fundamental changes in human behavior. Moreover, as we have seen, all of these trends have actually been measured to a limited degree in the past few decades. The oceans are becoming warmer and more acidic; eutrophica-tion, hypoxia, and the numbers and sizes of dead zones are increasing in quantity and size; vertical mixing of the open ocean is measurably decreasing; and many of our most valuable fisheries have collapsed and failed to recover. Some may say that it is irresponsible to make such predictions pending further detailed study to be sure of every point. However, we will never be certain about every detail, and it would be irresponsible to remain silent in the face of what we already know.